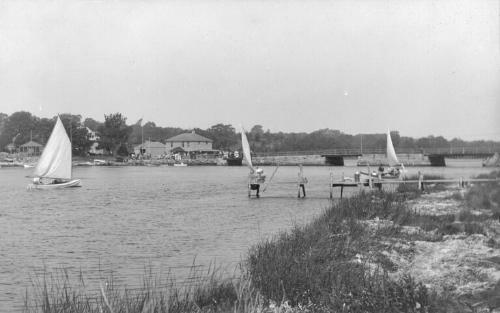 Boating on the East Branch of the Westport River shows sailboats tacking at the Hix Bridge. Note the size of the bridge piers which partially remain under the present bridge. Also note the two-story building to the left (west) of Hix Bridge which housed Brownell’s Store and the Masonic Temple ca. 1905.